Between October 4, 1927, and October 31, 1941, Gutzon Borglum and 400 workers sculpted the colossal 60 foot (18 m) high carvings of U.S. presidents George Washington, Thomas Jefferson, Theodore Roosevelt, and Abraham Lincoln to represent the first 130 years of American history. These presidents were selected by Borglum because of their role in preserving the Republic and expanding its territory. 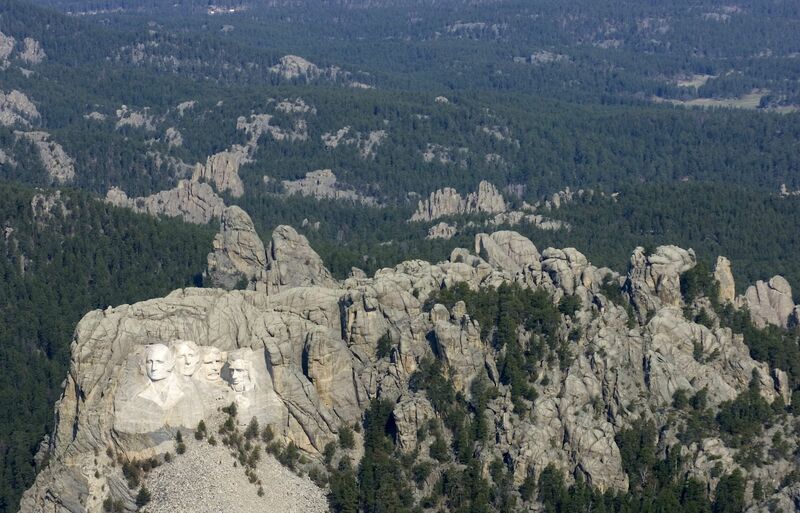 Mount Rushmore is in South Dakota, in the USA.